Happy Valentine’s Day everyone! Hope your loved ones remember and you get the pampering you want and deserve! Topbox is a Canadian beauty subscription that ships you 4 samples every month. The shipping is free, which is nice, but there is tax based upon your province. This still makes it one of the cheapest boxes out there at $12 per month. 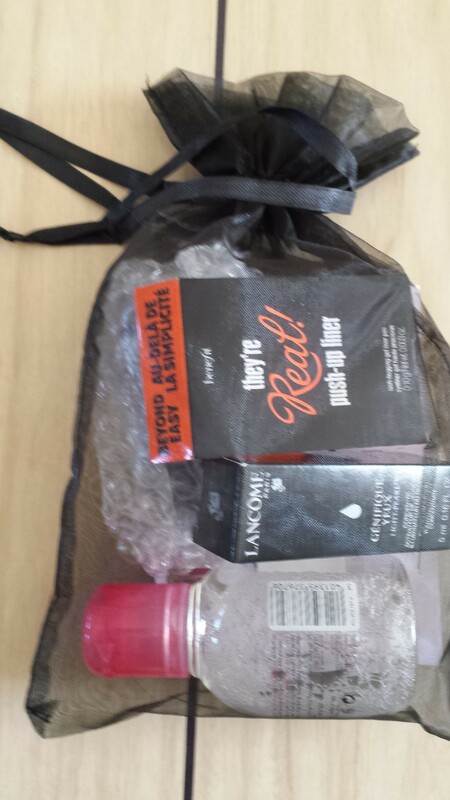 Topbox normally comes is a cardboard container but you can chose to receive your products in a reusable organza bag for even less waste, which is my choice. They also offer special boxes that you can put on your wish list and you may get them or you’ll get the regular box. Lately they seem to be shipping out earlier in the month then they used to which is nice, since a lot of my boxes come in the last half. This month I also got the shipping info email the same day it showed up in my mailbox. I like surprises so that didn’t bother me in the least. The purple mailer it arrives in. It’s been a bit since I showed it so I thought I’d post it again. As I mentioned above, I opt for the bag instead of the cardboard tube. I would just have to recycle the tube anyways since I wouldn’t use them for anything else, though I’m sure you could. The info card. It is nicely descriptive so you get a good idea of everything you are receiving. 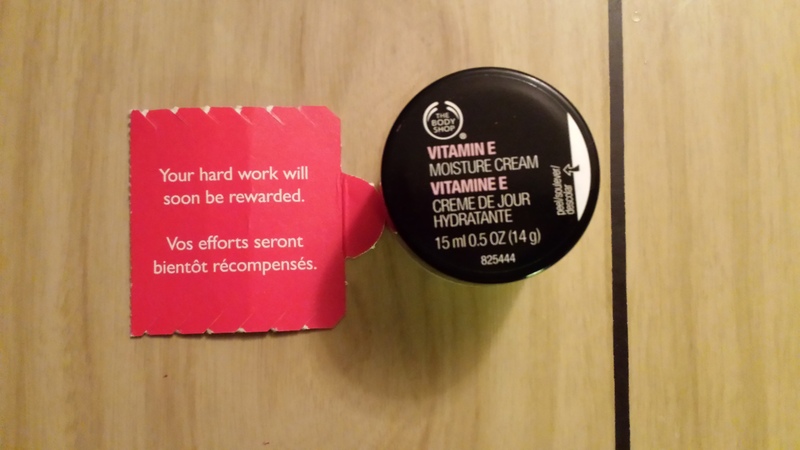 This month they did send out an email though because one of the items on the card is the wrong product from the company. This was the mistaken item this month. 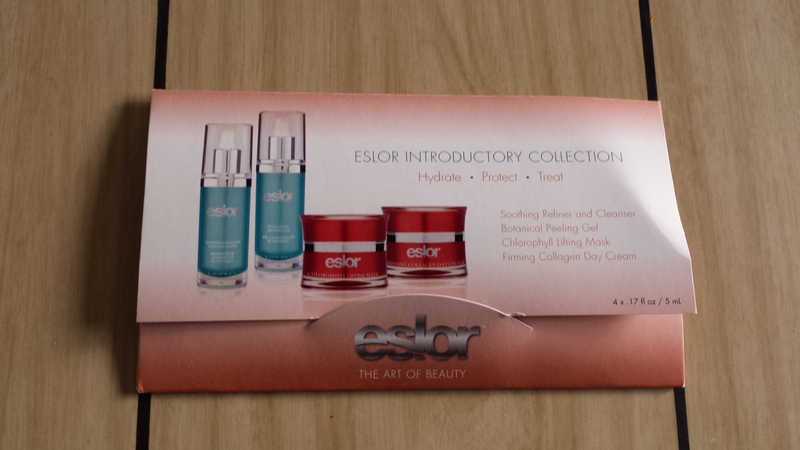 The card lists us as getting a pore minimizer and instead we got this moisturiser. I would have been happy with either so it doesn’t matter to me. 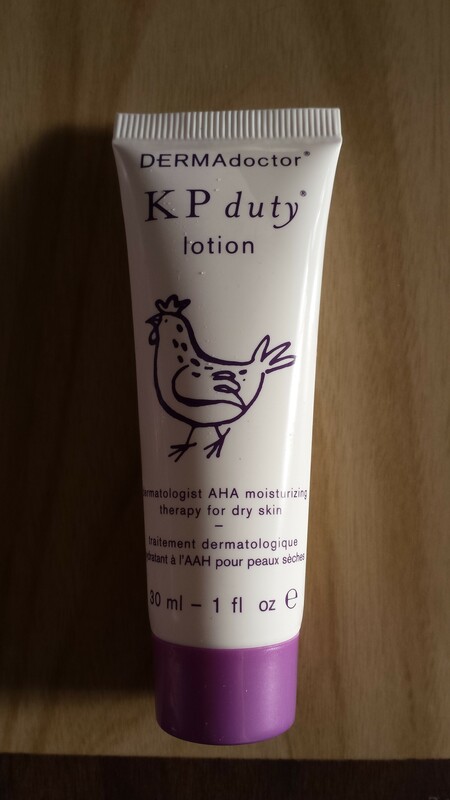 This formula is made to improve dry skin and help with those little bumps that can appear on your skin. It doesn’t smell the greatest but since it will not be used on my face it is less of an issue then it could be. This smells really nice. 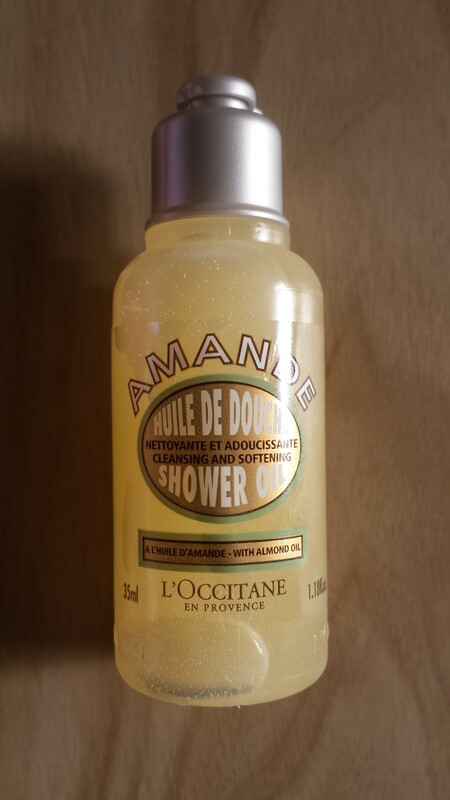 I have tried a few items from L’Occitane from boxes and I have never been disappointed yet. I always think of them as a higher end brand so even just a simple shower gel feels like a treat to me. This is an oil that magically transforms into foam when it comes into contact with water. Can’t wait to try it out next shower. This is a natural goat hair pencil brush. 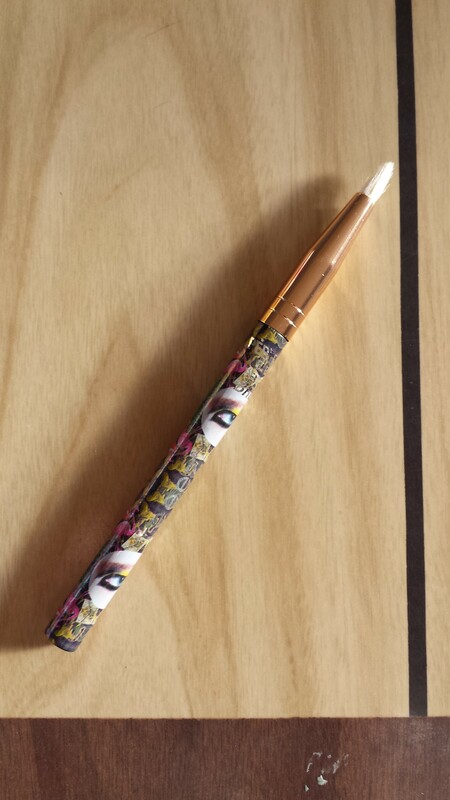 I like the design on the handle and while I’m not certain I think this would be used as a liner brush. It’s small and pointed at the end. The website does not have any pricing on it so I’m not sure of a value. This months box has a value of $17.86 plus whatever the brush is worth making it about $10 above what I paid if the brush is around $5, which seems fair. I like everything in the box and will use it all. This is still a box I’m undecided about keeping but it is one of the few that is Canadian so I don’t have to pay the exchange rate, making it very reasonable. The last two have been more varied and contained products I was happy with so I think it’ll get another month yet. If you are interested in getting your own Topbox send me a message and I can give you a link or you can visit them here. 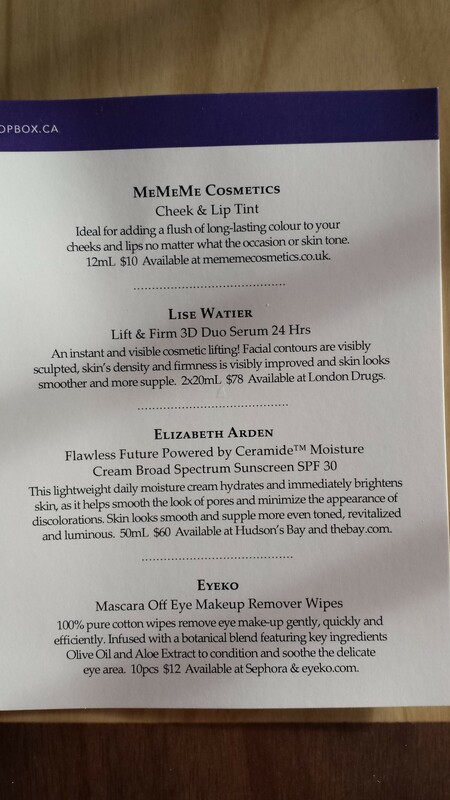 Topbox is a Canadian beauty subscription that ships you 4 samples every month. The shipping is free, which is nice, but there is tax based upon your province. This still makes it one of the cheapest boxes out there at $12 per month. 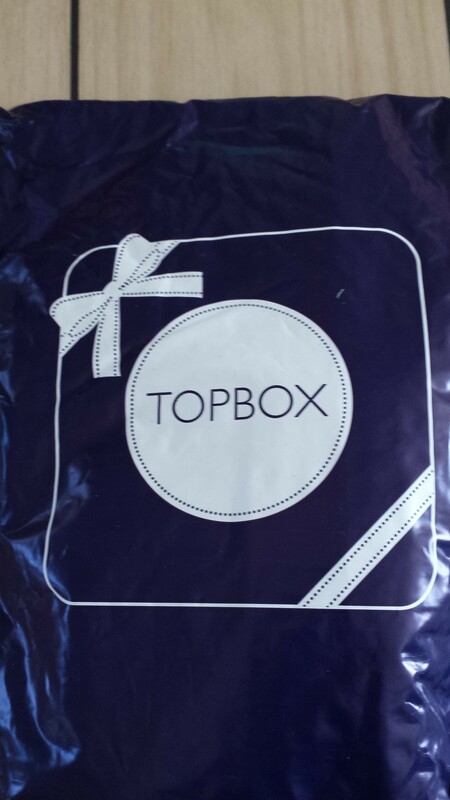 Topbox normally comes is a cardboard container but you can chose to receive your products in a reusable organza bag for even less waste, which is my choice. They also offer special boxes that you can put on your wish list and you may get them or you’ll get the regular box. Lately they seem to be shipping out earlier in the month then they used to which is nice, since a lot of my boxes come in the last half. The front and back of my bag. I could see something bubble wrapped and was really hoping it wasn’t another nail polish. The info card. 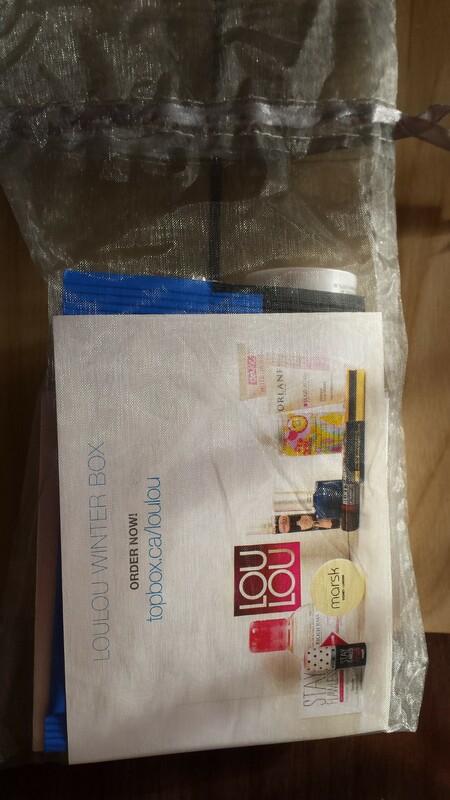 The other side just lets you know that they have a special edition LouLou Winter Box for sale on their site. 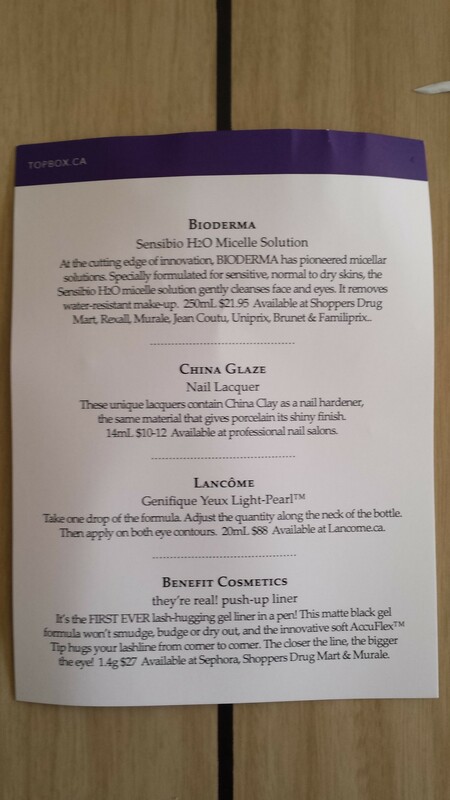 This side tells you about the products, the full size price and where you can purchase them if you like it. I haven’t tried these yet but they are supposed to do many wonderful things. 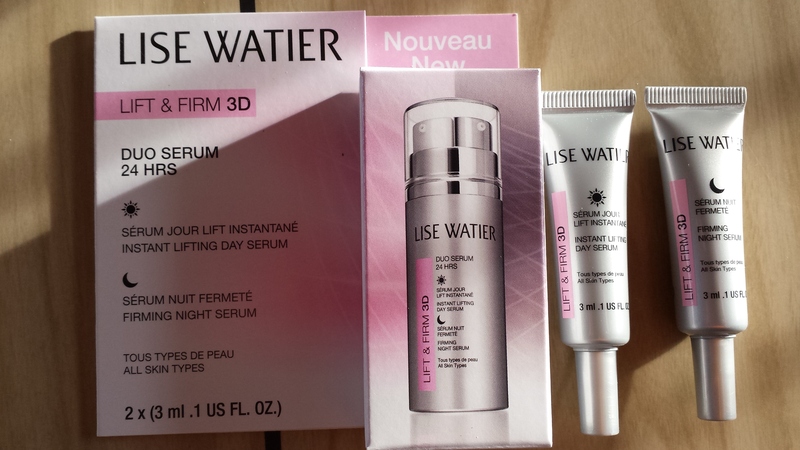 Skin will appear firmer and smoother. It will also be denser and more supple. Wrinkles will also be reduced. While I hope it works it’s a bit of a double edged sword as there is no way I would ever buy something that is this expensive. Holy what a handle! I think that is the longest product title I’ve ever had to type out. Sunscreen is one of those things that I know I should wear everyday but if it’s not already in one of my products I never think to put it on. My kidlets get coated anytime we go outside but for myself it’s an afterthought. 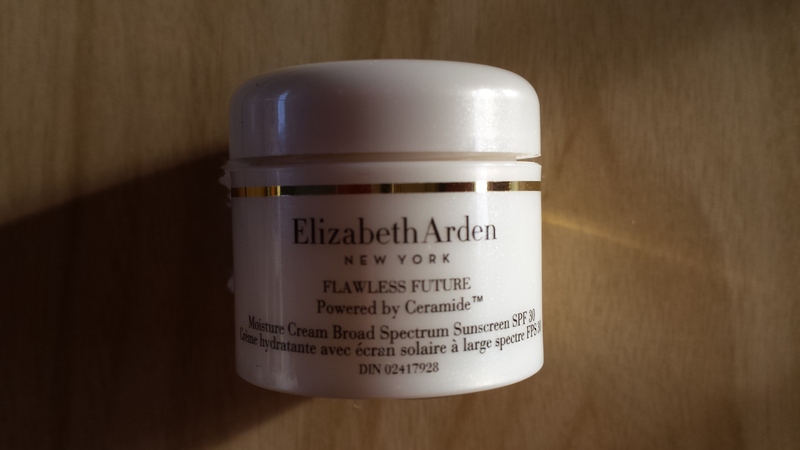 This has a thinner formula then your standard sunscreen and absorbs really quickly. It smells nice and fresh too! If I can remember to use it I think I will like this. 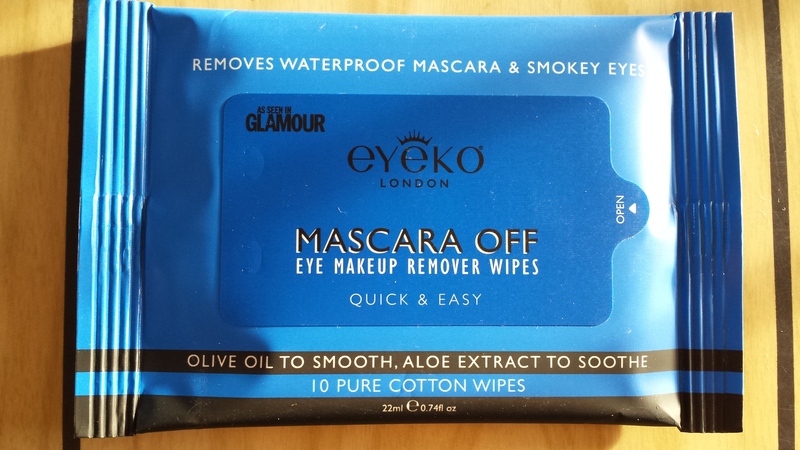 This is a 10 pack of wipes and I’m not sure why I have never tried something like this before. I use a cotton pad and liquid makeup remover and it’s such a pain. 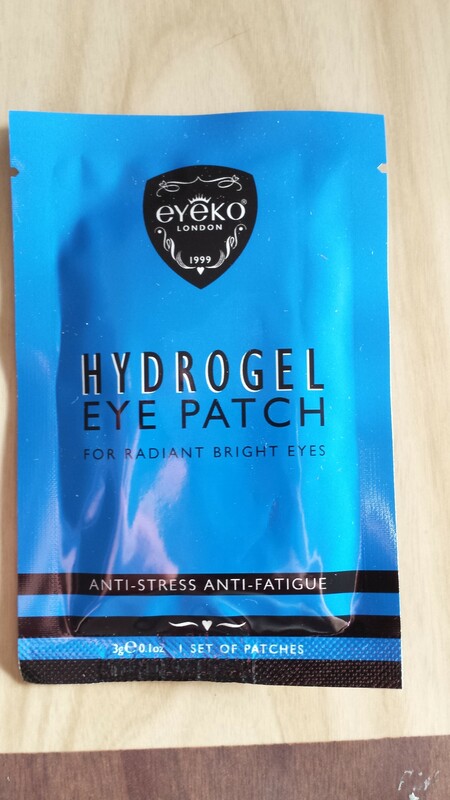 You squirt too much out, then it leaks into your eye off the pad, then it stings till you can get a cloth up to wipe it off…..this seems so much easier. These are available at Sephora as well so that makes getting more easy too. This months bag had a value of $42.10 and two full sized products. I’m so glad that this month was better for me. I still may end up cancelling this one if it goes back downhill in products for me but this one definitely made up for some of the letdowns. 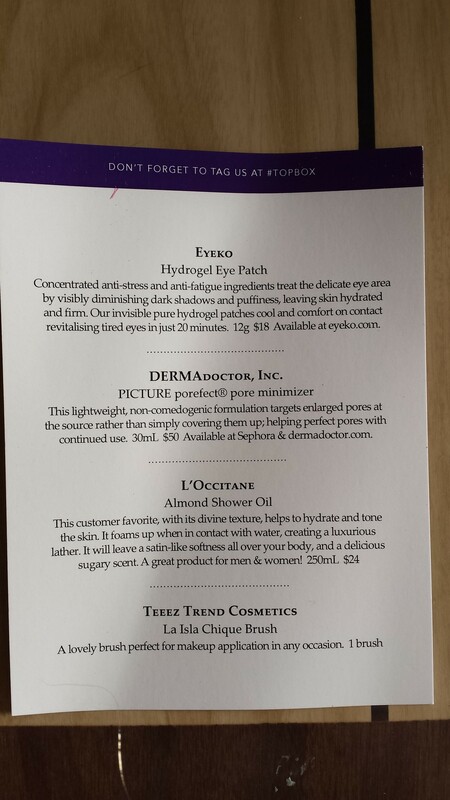 I can’t wait to try the wipes and both of the skincare products. The stain is the only so-so item but that is only because I’m incapable of using it properly. If you want to join Topbox send me a message and I can shoot you a link or you can visit them by clicking here. 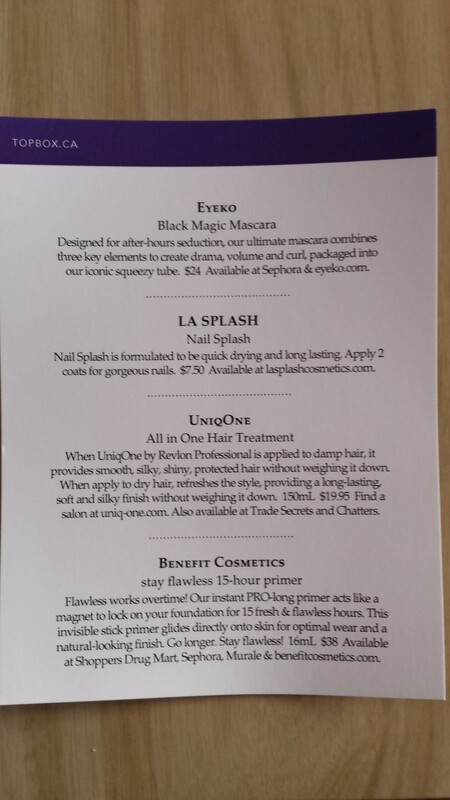 opbox is a Canadian beauty subscription that ships you 4 samples every month. The shipping is free, which is nice, but there is tax based upon your province. This still makes it one of the cheapest boxes out there at $12 per month. 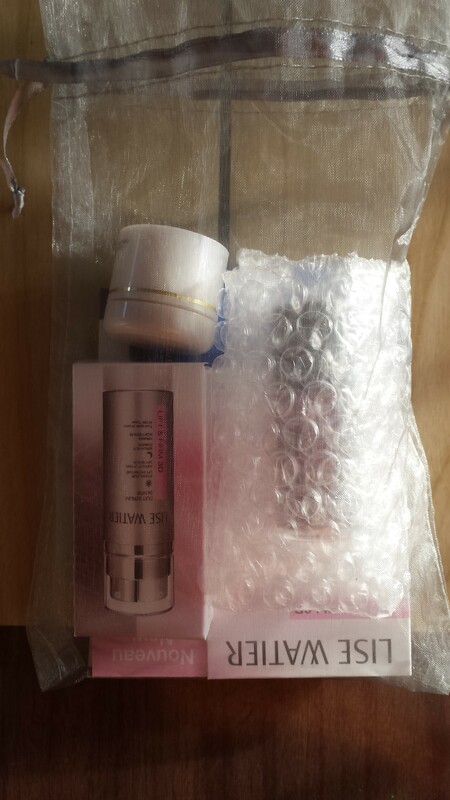 Topbox normally comes is a cardboard container but you can chose to receive your products in a reusable organza bag for even less waste, which is my choice. They also offer special boxes that you can put on your wish list and you may get them or you’ll get the regular box. 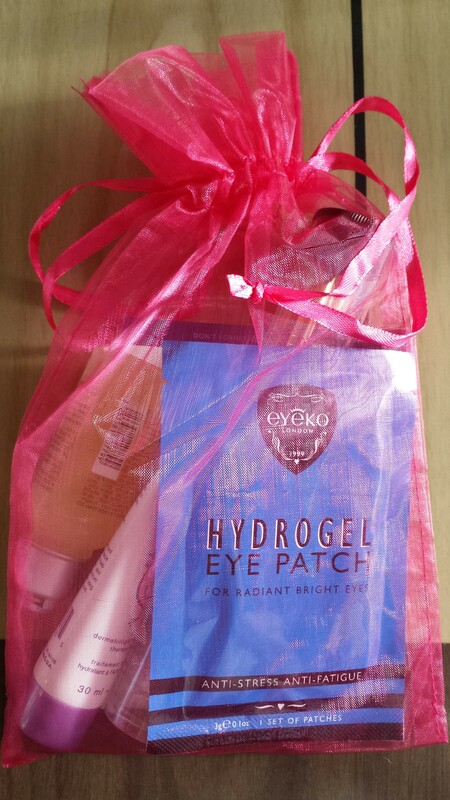 I like the bag option as I can then put my samples back into it to store or hold anything else I feel like in them. The info card tells you what you got and where to purchase it. I put the value of this kit as an approximate value based on the fact that I can buy a trial kit with 15mL samples for $55 off the website. 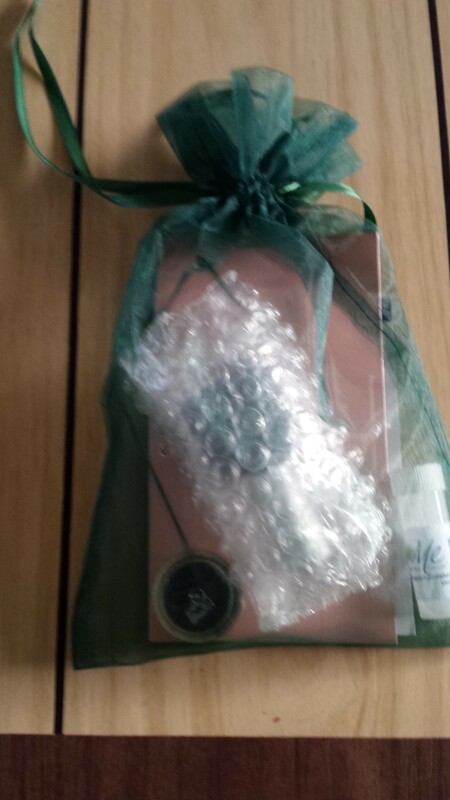 This sample pack contains Soothing refiner & cleanser, Botanical peeling gel, Chlorophyll lifting mask, and Firming collagen day cream. While I’m sure there are some who will be upset to have received foil packet samples, these are larger and more full then a single use so I think it’s a good sample. This is another one of those products I’m glad to try as paying over $50 for a tub of moisturizer is just not going to happen unless I win the lottery. 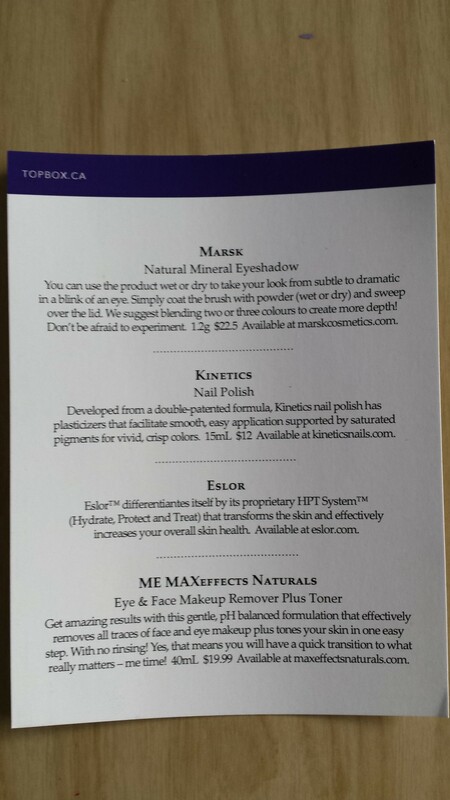 I like mineral makeup but I’m not too sure what I’m going to do with black eye shadow. Grey I can work with but this is a really dark colour. It can by used wet so I guess I could put it to work as an eyeliner. This one is not going to the top of the list of favourite things. 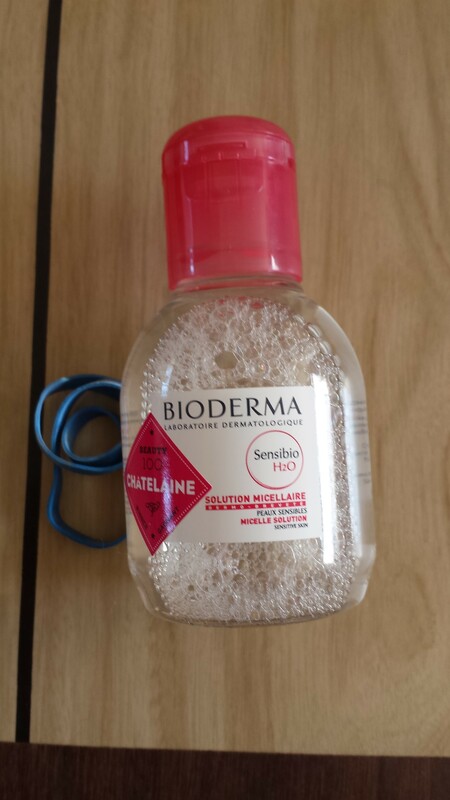 This is a non-rinsing makeup remover. 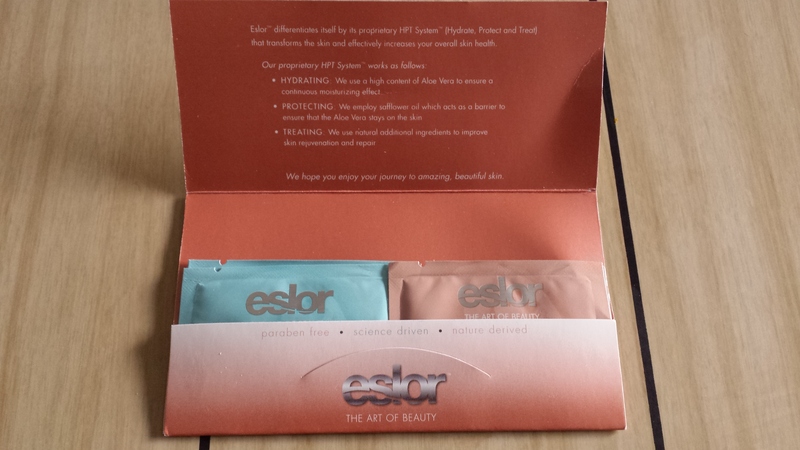 The sample is really small so it might give you a couple days worth of product. This polish is nice and thick so you only need one coat for good color coverage. 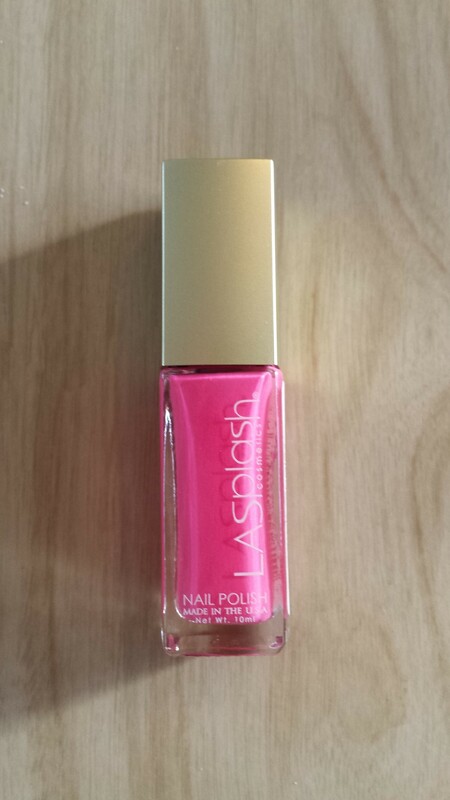 However I have now received a nail polish in each of my Topbox shipments and wish they would change it up. It is forcing me to go through my polish stash and get rid of some I’ve had since high school. While this box had a value of $53.00 and I only paid $13 with taxes I’m not all that thrilled. I am actually thinking I may give up Topbox if it doesn’t start making me happier, even though I want to support it since it is one of the few boxes that is Canadian. Their collaboration boxes are great so maybe I need to just pick those up when they pu them out instead of the monthly box. Vitamin E Moisture Cream and Posietint Lip and Cheek Stain. I have used other Body Shop moisturizers and like them a lot so I’m happy to give this one a try. As for the stain, I did use the other one I received a few days ago and it went well so I’m hoping this one can be as painless to use. 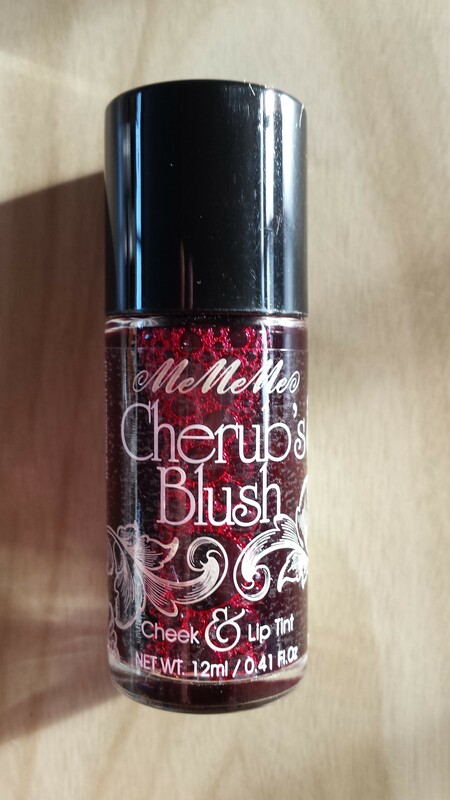 It seems really pink though and it’s not sheer in the tube like the Benetint so it might be interesting. I have no favorite today but like both items so feel good about it. Topbox is a Canadian beauty subscription that ships you 4 samples every month. The shipping is free, which is nice, but there is tax based upon your province. This still makes it one of the cheapest boxes out there at $12 per month. 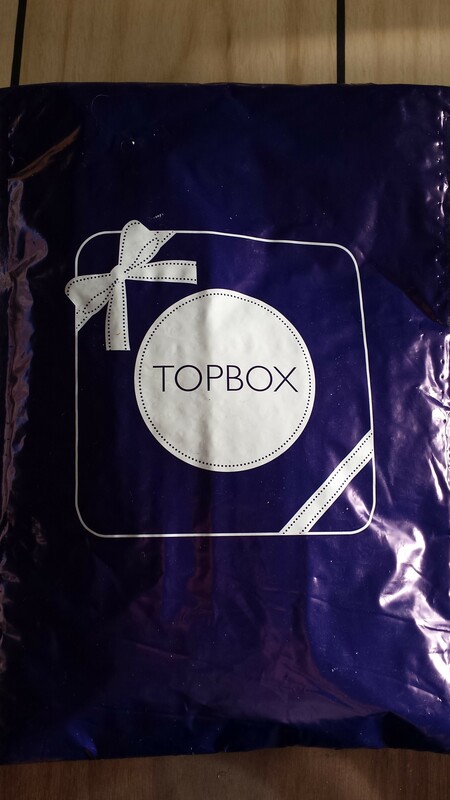 Topbox normally comes is a cardboard container but you can chose to receive your products in a reusable organza bag for even less waste. It’s a pretty easy mailer to spot. I haven’t yet figured out what to do with the bags I get but they may just organize my makeup. I think they’ll be easier to reuse then a cardboard tube, which is the other packaging option. The ever helpful info card and this months additional cards. 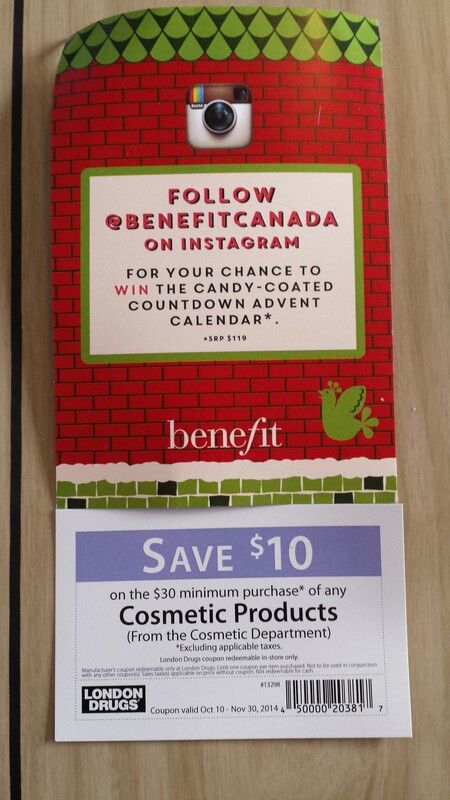 Ten dollars off a $30 cosmetic purchase a London Drugs and a reminder to follow @Benefitcanada on Instagram for a chance to win the Benefit Advent Calendar. I think the package of this mascara is so cool! 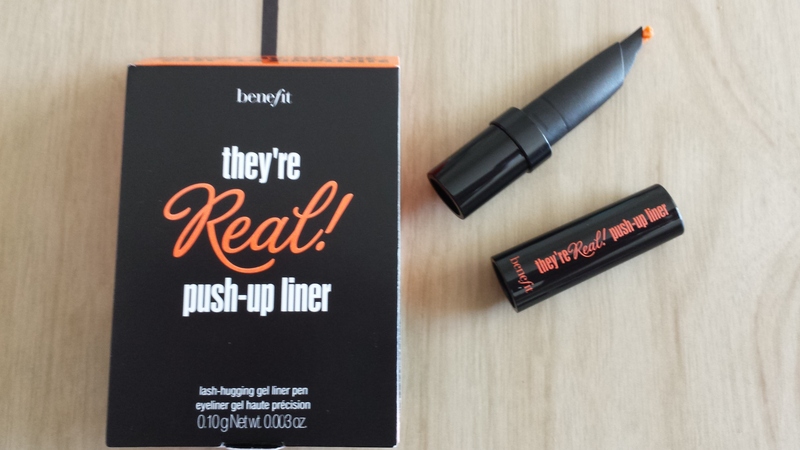 I don’t know that it will allow me to use more of the mascara but it’s definitely different. I never complain to get more mascara. This is super pink. I tested it on one nail and got great coverage out of just one coat so I think this will be a good polish. I’m not too sure that hot pink is a good colour for the Holiday season but maybe just toes for now. 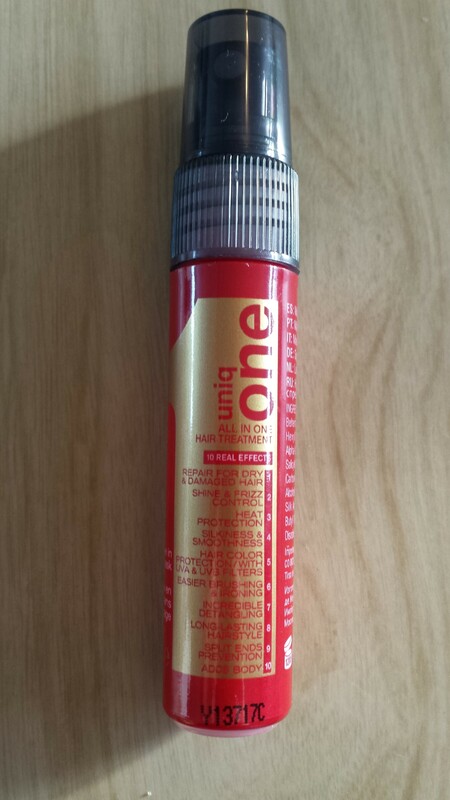 This magic spray is supposed help to repair dry and damaged hair, shine and frizz control, Heat protection, silkiness and smoothness, hair colour protection, easier brushing and ironing, incredible detangling, ling lasting hairstyle, split end prevention, and add body. It’s only available in salons and can be used on wet or dry hair. If it really does do all of those things it’s totally worth the $19.95 full size price. For sure giving this a go. 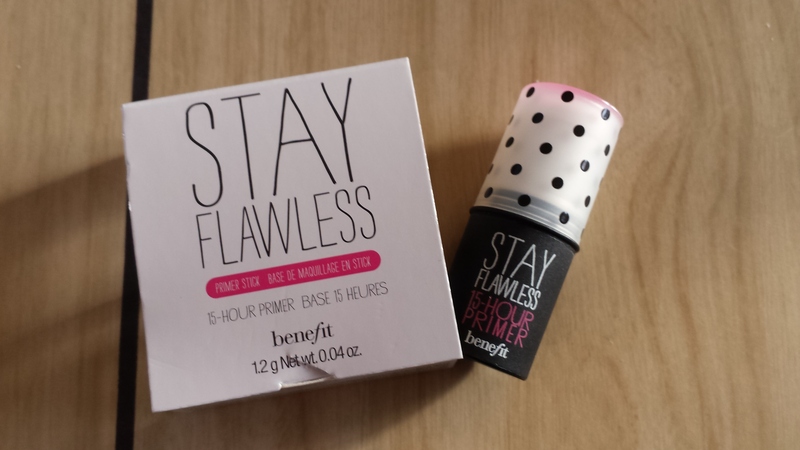 As I’ve mentioned in other posts, I’m in love with primers right now. 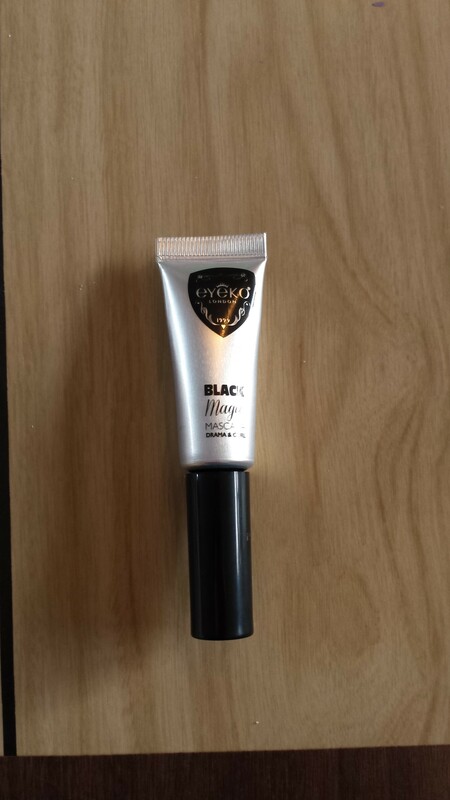 This one is a bit different in that it’s a stick application instead of a cream. 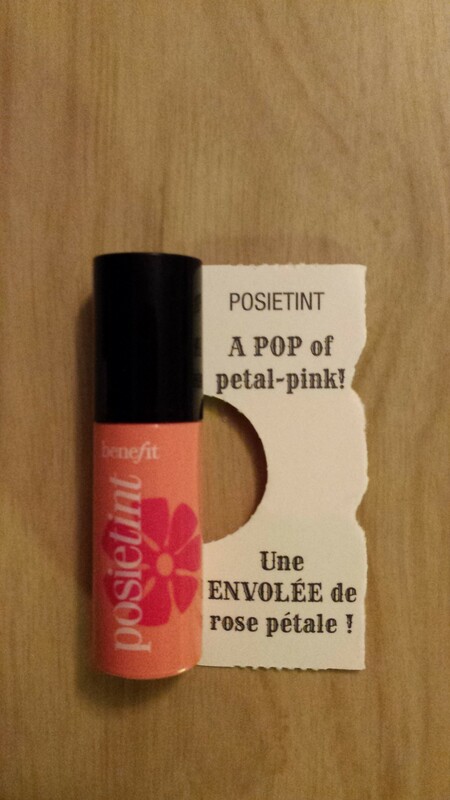 I know some other people were a bit disappointed in this because there had been an email sent out that if Benefit got to a certain number of likes we would be getting a Benefit product this month, but it kinda was misleading in that it seemed like it would be a bonus item not a regular item. . I’m happy either way and like Benefit products so am glad for it. This months total bag value was $21.99. I think that’s pretty good for what I paid for the bag. The only slight negative I could come up with is that it’s now two months in a row that I received a nail polish, though not the same brand or colour, and also a Benefit product two months in a row. As I said earlier I like Benefit Cosmetics so it’s not a huge deal but since I want to try as many different products as possible through these boxes a month in between might lessen my judgement. The outer mailer is a bright purple bubble envelope. Easy to see as you creep your mailman coming down the street. The bag and the info card. Along with listing the products it also tells you what stores carry the products so you can pick them up since they are not available for sale on the website. This came nicely wrapped up in bubble wrap for protection and is a nice deep purple. Nail polish is probably the one thing I hope to receive only a little of in any of my boxes as I rarely do my nails but my kidlet has begun requesting we paint our nails quite often so that may be changing. I’m really glad this product came with directions on the package because I was lost once I opened it. 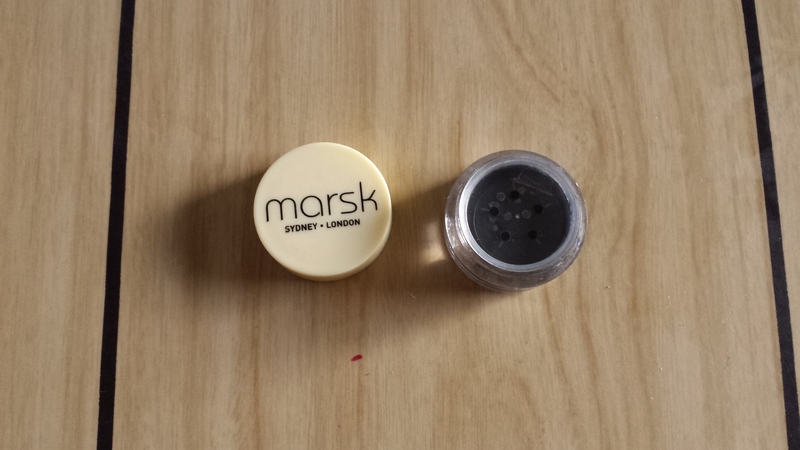 It is a matte black gel liner that will hug your lash line so you can get a super close line. You have to squeeze the rubber applicator to get the liner up. While I think it could be good I’m annoyed that now that I’ve opened it the lid won’t go back on and stay closed because of air pressure. Hopefully a full sized one doesn’t have that problem. This is a pricey sample. 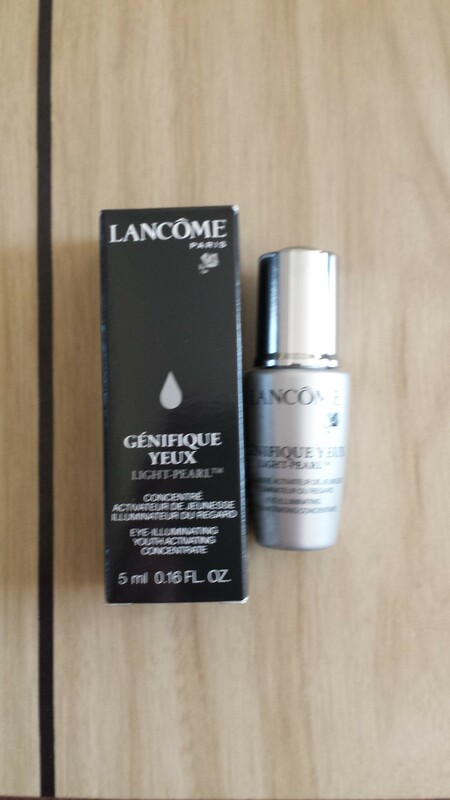 According to the box it’s a eye-illuminating youth activating concentrate. I like eye creams so will gladly give this a try and feel fancy using something that I would never buy for myself due to the price. This bottle is just shy of half size of a regular one so you are getting a large amount of product. It cleanses, removes makeup, and soothes skin and you don’t rinse it off. Apply to a cotton ball and then dry your face. It’s different from most cleansers I’ve used but I’m curious to try it. This box cost me $13.20 taxes in and I’ve received $42.71 worth of stuff, which is great to me. I will use everything in it and even got a few things I would never buy so it’s even better.